Harold S. Irwin, Sr. was a professor at the Dickinson School of Law following his graduation from the Carlisle law school in 1925. He entered private practice in 1943, and was a 50-year member of the Cumberland County Bar Association. 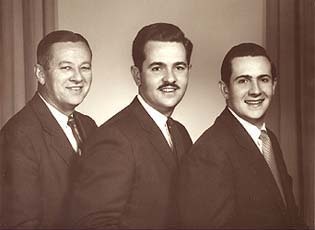 He was joined by his sons, Harold "Duke" S. Irwin, Jr. and Roger B. Irwin, in the mid-fifties. All three served terms as president of the Cumberland County Bar Association. Duke served terms as both a Cumberland County assistant district attorney and the district attorney in the late fifties and early sixties. Marcus A. McKnight, III became affiliated with the law firm in 1977 after his graduation from the University of Pittsburgh School of Law. Thereafter, in 1986, he became the first attorney to become a partner who was not a member of the Irwin family. He has served as past President of the Carlisle Rotary Club and, as part of his legal practice, currently serves as solicitor for many local municipalities. Marcus is a member of both the Pennsylvania and Cumberland County Bar Associations, and is also a past President of the Cumberland County Bar Association. Douglas G. Miller worked as a law clerk for the firm starting in 1997 while attending the Dickinson School of Law before its merger with Penn State. He accepted a position as an associate with the firm immediately after graduation in 1999. He is now a shareholder and owner in the practice. Matthew A. McKnight also worked as a law clerk for the firm while attending the Pepperdine University School of Law. He is the son of Marcus and joined the firm as an associate after his graduation in 2004. Stephen L. Bloom merged his former solo practice into the firm in 2007. He has been a practicing lawyer since his admission to the Pennsylvania Bar in 1987, and has taught courses in economics, personal finance, and business law at Messiah College. He has authored the books, “The Believer’s Guide to Legal Issues” and “They’ve Crossed the Line: A Patriot’s Guide to Religious Freedom.” Currently he is also the elected Pennsylvania State Representative for the 199th Legislative District. 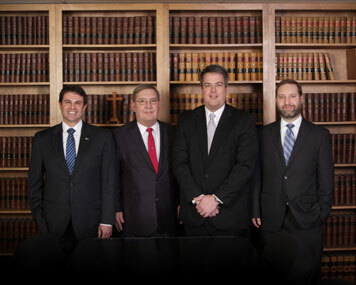 LEFT TO RIGHT: STEPHEN L. BLOOM, MARCUS A. MCKNIGHT, DOUGLAS G.
Support staff includes a real estate paralegal, an estate paralegal and four administrative assistants.